Marie-Claire Pajeile exposes and sells her works - paintings on canvas - successfully in very numerous countries and will be happy to present its to you in her workshop "Le Brissonneau" in Bréville. Painter of the movement of the scenes of the current life, its paintings are dynamic and built with strength. 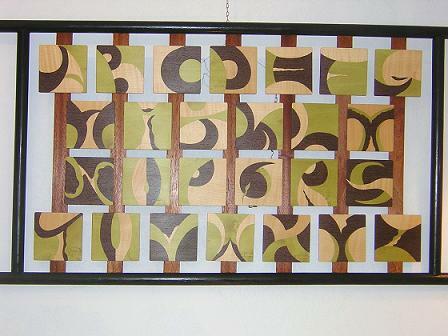 Creation and contemporary realizations in marquetry. Corinne plays with the wood. Lines, colors, and material harmonize for mural creations, luminary design, caskets, candlesticks, decoration of desk, jewels were gilded in the gold leaf. Unique and original pieces. 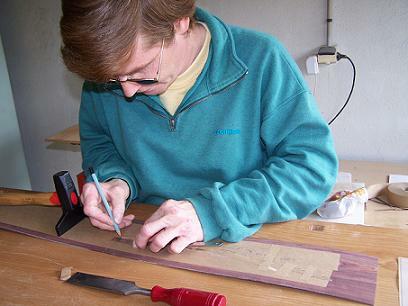 Workshop "Le bois en volute"
Cabinet maker of art, Christophe realizes furniture of any styles with sculpture, marquetry, and wood-turning. Preparation of small objects and restoration of antique furniture.